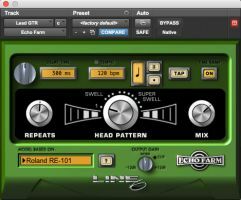 Line 6 has announced version 3.0 of the Echo Farm plug-in, offering a legendary collection of vintage echo and delay effects in an updated 64-bit AAX Native format for Pro Tools 11 and higher. Each modeled effect delivers the detailed sonic properties of tubes, tape and vintage electronics, so artists and engineers can easily add organic warmth and mojo to their mix. 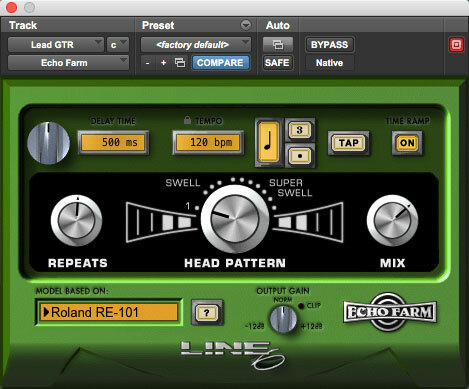 "The original Echo Farm plug-in was a staple in top studios throughout the world and has appeared on countless hit records, " said Marcus Ryle, President, Line 6. "Echo Farm 3.0 combines that same beloved collection of vintage echo effects with powerful 64-bit AAX Native performance and compatibility with the latest Pro Tools versions, so artists and musicians can bring their favorite effects back to the studio." Echo Farm 3.0 features 12 models based on vintage hardware units like Maestro Echoplexes, Roland RE-101 Space Echo, Boss DM-2, Electro-Harmonix Memory Man and T.C. Electronic 2290, plus great-sounding Line 6 originals. A simple, easy-to-use interface makes it simple to control tape wow n' flutter, filter-swept modulation, bit resolution and more. 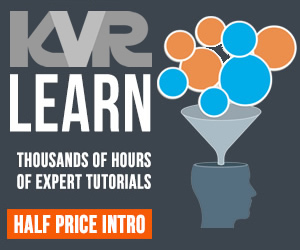 Delay time can quickly be set via knob, tap tempo, BPM and note value, or locked to the global tempo of a Pro Tools session to follow any tempo variations. The defeatable Time Ramp feature delivers smooth tape-style changes in delay time, and comes complete with pitch smear for even more vintage authenticity. With Echo Farm 3.0, Pro Tools users can finally open up their old projects on a new Pro Tools system. Settings and presets are 100% compatible with older Pro Tools sessions, preserving any existing sounds. With 64-bit AAX Native performance and support for sample rates up to 192 kHz, Echo Farm 3.0 no longer requires DSP hardware and can run on any laptop or desktop CPU. Echo Farm 3.0 will cost $199 for new purchases and $49 for upgrades from the TDM version. It will be available in February, 2017.